So what are the secrets behind Jamaica property ownership? Surely, with all those natural resources, owning property in Jamaica guarantees nothing more than profits all the way. When an investor desires a market share in Jamaica's properties, you must have all the information and documentation necessary to complete your purchase. Looking for your very own unique special real estate opportunity is possible. They are great deals out there. 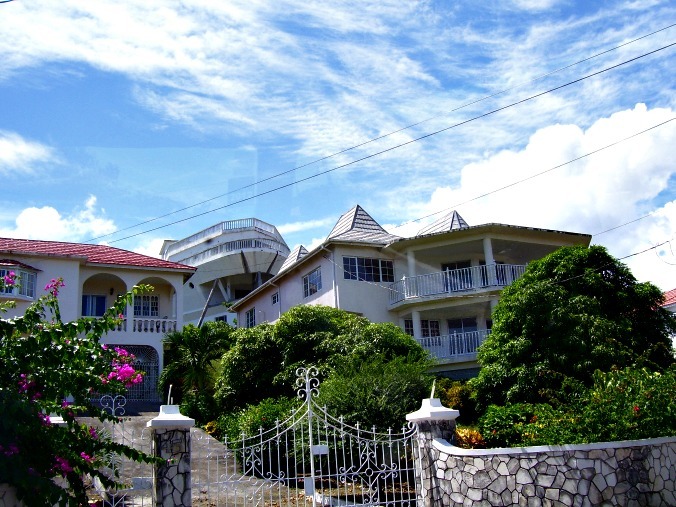 Finding your Jamaican property is not hard to do. It just takes time. Before purchasing property, whether in Jamaica or in another country, you need to live in that place for a while, or visit often. Get a feel for the area you are interested in purchasing your Jamaica property. Do some research and find the right contacts, and make friends. Know the culture of whatever country you decide to invest in first. Sometimes avoiding real estate agents can be best, that way you have your own pure perspective. Then again agents can also give you some insights. Visit the local land registries and get to know them well and try to ultimately buy directly. Patience is key, if you are buying for investment purposes. Most areas are a gamble. A few are not. Knowing the difference is what takes time and work. The Jamaica Government encourages overseas investments and joint ventures. There are liberal tax incentives with the Jamaica Trade and Invest, expediting the process or assisting in problem solving. Jamaica stands tall as one of the famous Caribbean islands due to its delicious dishes and unique meals like the notable jerk chicken. The country is also home for world renowned reggae artists such as the late Bob Marley, Sean Paul, Luciano among others. Tourists schedule Jamaica reggae music vacations because of its white sandy beaches and year round sunny weather conditions. Jamaica boasts exotic resorts, nightclubs, bars and restaurants, in case you want to make your outing a lot more exciting. Due to Jamaica's beauty and diversity of landscapes Investors have come from all over the world to buy land in Jamaica. Celebrities also have purchase and have expressed desires to own property along the sunny beaches, while others have chosen in-land. So what are the things needed to accomplish any Jamaica property ownership? The reason for the purchasing of any property is very important, whether in Jamaica or any other corner of the world. Some people take an interest in buying property for commercial purposes while others purchase property for family use. Whatever the reason, before making your decision you need to know your reasons towards buying property. Because for commercially based land, the pricing would be higher than if you were targeting a piece of land to do agriculture or even to set-up as a residential residence. Another thing is that you should understand when you decide on any Jamaica property, its location, since pricing differs from one location to another. Potential investors should contact the Jamaica Trade and Invest, to assist you with expediting the process of registration, financing and any difficulties you may encounter. Since different locations carries different prices, evaluating your finances is very important. There are many Real Estate Brokers in Jamaica that are versed in helping international investors make the most out financing while taking into account your budget. The work of the real estate agent is to provide you with all the information and options necessary. Note that in many cases, real estate agents may not charge you any fee if you are an aspiring buyer.